The Death Knell for Tip Pooling? The Department of Labor (DOL) has issued a Notice of Proposed Rulemaking regarding the tip pooling regulations of the Fair Labor Standards Act. The FLSA allows employers to take a tip credit toward their minimum wage obligations, and employee tips may be pooled together, but pooling of tips is allowed only “among employees who customarily and regularly receive tips.” 29 U.S.C. § 203(m). The end of the rule does not come as a surprise as both the DOL and courts have sounded the death knell this year. The DOL took the tip pooling law a step further in 2011 when it promulgated a regulation that prohibits employers from operating tip pools even when they do not take the tip credit. The regulation states: “Tips are the property of the employee whether or not the employer has taken a tip credit under section 3(m) of the FLSA.” 29 C.F.R. § 531.52. The DOL’s tip pooling rule has been unpopular with courts—and for good reason, as we have previously noted. Indeed, several federal courts have found that it is overbroad and invalid, excluding the Ninth Circuit. In the Notice of Proposed Rulemaking, the DOL agrees with the holdings of most courts and, while not outright stamping the rule as “overbroad” or beyond the DOL’s authority, states that the DOL is concerned “about the scope of its current tip regulations” and “is also seriously concerned that it incorrectly construed the statute in promulgating the tip regulations that apply to” employers who do not take the tip credit. The DOL’s about-face is also motivated by policy concerns. The Notice explains that removing the rule “provides such employers and employees greater flexibility in determining the pay policies for tipped and non-tipped workers [and] allows them to reduce wage disparities among employees who all contribute to the customers’ experience and to incentivize all employees to improve that experience regardless of their position.” Finally, the DOL notes that the increase in state laws prohibiting tip credits and the volume of litigation over this issue contributed to its decision to put the rule on the chopping block. The end of the rule does not come as a surprise as both the DOL and courts have sounded the death knell this year. On July 20, 2017, the DOL issued a nonenforcement policy to not enforce the rule with respect to employees who are paid at least minimum wage. Additionally, the National Restaurant Association filed a petition for certiorari with the Supreme Court asking for review of the Ninth Circuit’s decision, which is still pending. The DOL announced that if the rule is finalized as proposed, the rule would qualify as an “EO 13771 deregulatory action” under the Trump administration’s “two-for-one” executive order that requires federal agencies to cut two existing regulations for every new regulation they implement. Once the proposal is published in the Federal Register, interested parties will have the opportunity to provide comments regarding the Department’s proposal within 30 days. Only after these steps is the rule made final. 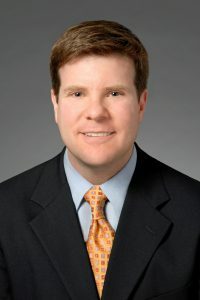 Noah Finkel is a partner in the Labor & Employment Department and is a Co-Chair of the Wage & Hour Litigation Practice Group in Seyfarth Shaw LLP’s Chicago office. His principal area of concentration lies in wage-and-hour matters, in which he has represented companies more than 100 actual or putative collective and/or class action matters under the Fair Labor Standards Act and/or state wage-and-hour laws. Finkel also regularly advises companies on compliance with the Fair Labor Standards Act and state wage-and-hour laws, including the performance of exempt status reviews and pay practice audits. 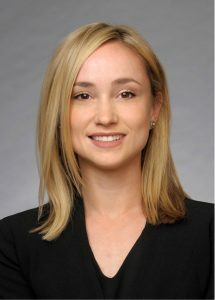 Cheryl A. Luce is an associate in the Chicago office of Seyfarth Shaw LLP and a member of the firm’s Labor and Employment Department and Wage and Hour Litigation Practice Group. Luce represents employers before state and federal courts, the Department of Labor, the EEOC, and state administrative agencies. She is experienced in wage-and-hour, discrimination, family and medical leave, accommodation, discipline, discharge and workplace investigation issues. Luce also has experience counseling employers on employee benefits and ERISA issues. Her practice focuses on defending employers against class and collective action claims arising under state wage-and-hour laws and the Fair Labor Standards Act.